Line Plots in 2nd Grade Can be Fun to Learn with our Awesome Video. Come Take a look. Learning line plots in the 2nd grade goes right along with learning bar graphs and picture graphs. 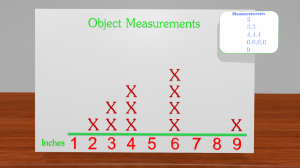 Students are required to generate their own data by measuring objects to the nearest whole unit. This not only helps children learn and review how to measure but helps make the graph more meaningful. Once the kids collect their data and start the line plot they soon see that it looks like other graphs but almost simpler in a way. 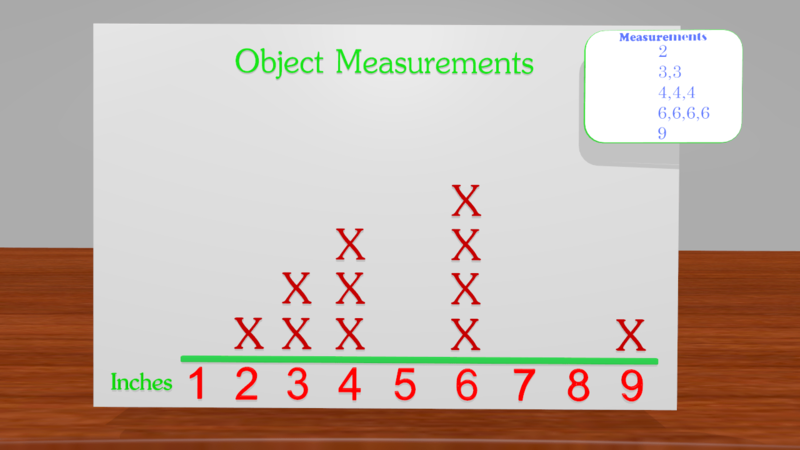 With line plots it is just a matter of counting how many times a measurement occurs and placing an X above that number in the line plot for each occurrence. They can be fun if you make them an activity. We have a worksheet for this just so you can use it with the video and pause it once the data is shown, but making their own Line Plot might be best. An activity to do is to take rulers and measure all the pencils at each table. Generally all pencils stay within the length of a ruler. You can then have them write down their data and once finished they can start making the line plot together at their tables. Give it a try and have fun!